By Maxine Ashford on 2018-02-25 - Maxine has been a journalist since the late 1980s and for the past 13 years has specialised in motoring. Former motoring editor at Media Wales responsible for the Western Mail, South Wales Echo, Wales on Sunday. Freelance since 2009, Maxine loves cars but not quite as much as rugby! ANYONE who thinks that the Continental name is limited to tyre technology and production alone needs to think again. 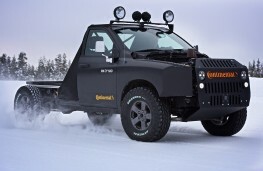 A recent trip close to the Arctic Circle proved there is a whole lot more to the German company. 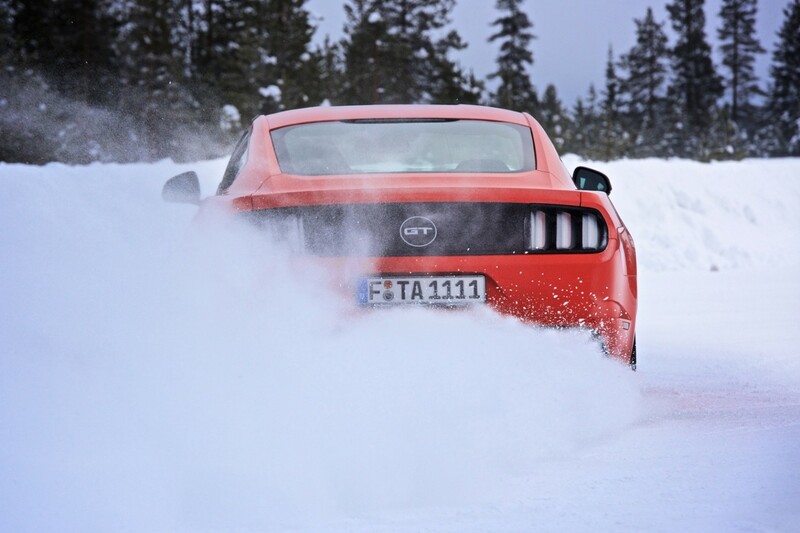 We were based at one of its proving grounds in the north of Sweden which included race circuits carved out of ice complete with lots of twists and turns, plus lots of open space to test acceleration and braking capabilities to the full. And it was the ideal location to explore some of the company's latest developments. There were, as expected, new tyres to be showcased. 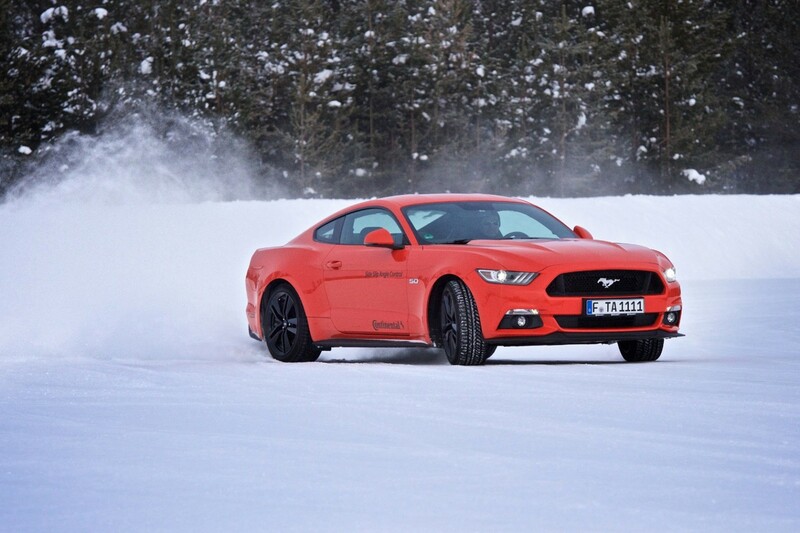 The WinterContact TS 860 S is the company's latest tyre for drivers of high performance vehicles that want to be able to get the maximum driving dynamics from their car. It delivers top performance in terms of braking distances and handling on dry roads and also offers excellent handling in the snow. 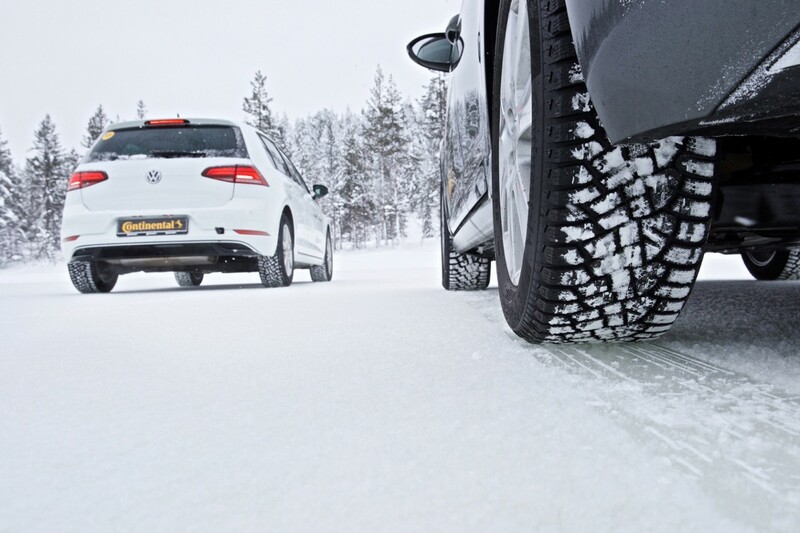 The other tyre that we tried was the all-new VikingContact 7 which is the perfect all-rounder for the Scandinavian winter. 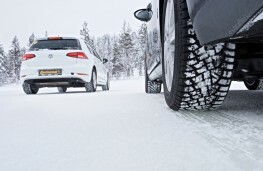 Thanks to its soft compound tread, the newly developed tyre can deliver strong grip on snow-covered or icy roads even in extremely low temperatures. We tested both these new tyres in temperatures that plummeted to minus 22 degrees, so it would be fair to say they were extremely low conditions. We carried out a number of acceleration, braking and slalom challenges that pitched the new products against existing Continental tyres and the new editions proved more efficient in every test. Continental also develops anti-lock braking systems and its third generation ABS3 was put through its paces in some high-performance cars once again on an ice track. This system is already fitted to the very latest Volvo XC90 and the stopping distances on the frozen ice were far superior to the outgoing version which is several years old now. 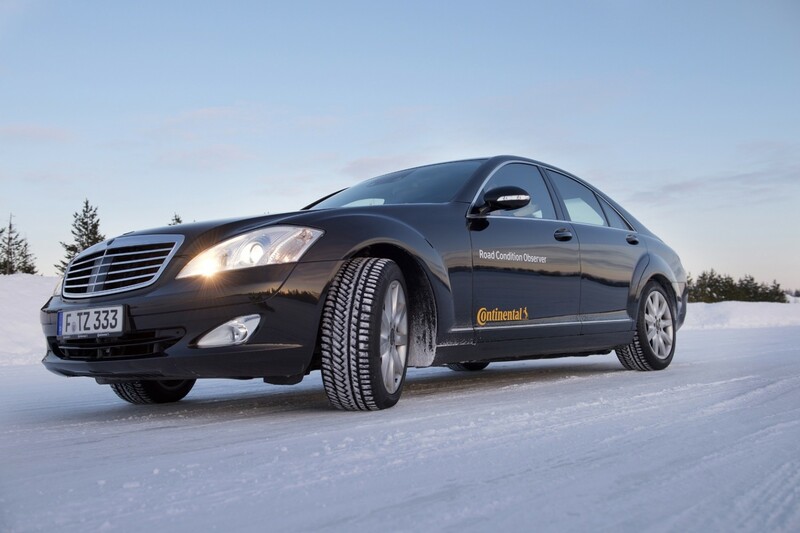 As a demonstration of how far Conti has progressed with its autonomous driving programme, I sat behind the wheel of a Mercedes and without any input from me, the car accelerated, braked and steered its way around a track made from ice. There was no over-revving, no sharp braking, no sliding - everything was perfectly smooth. And if I wanted control of the car, I simply touched the brake or accelerator pedals. An adapted Dodge RAM demonstrated how a back-up brake system would kick in if the automated brakes failed which was another perfect way to highlight Conti's developments in the autonomous world. And an advanced ESC system kept a Ford Mustang on course through a tight slalom course. When switched off, maintaining the control was not so impressive. These were just a few of the many systems the company has developed in its bid for Continental Vision Zero - a future without accident. At present 1.25 million road traffic deaths occur globally every year and almost half are pedestrians, cyclists or motorcyclists. Conti is working closely with Global NCAP's Stop the Crash campaign to drastically reduce these figures. 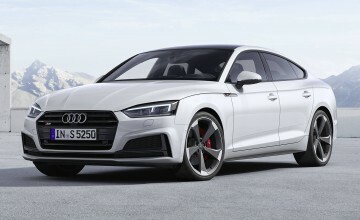 New technology has been introduced over the decades to help protect motorists and other road users, including seat belts, anti-lock brakes, airbags, electronic stability control, brake assist and a raft of driver assist systems such as adaptive cruise control, automatic emergency braking, blind spot detection and a lateral support system. But the aim to improve safety is a never-ending work in progress. 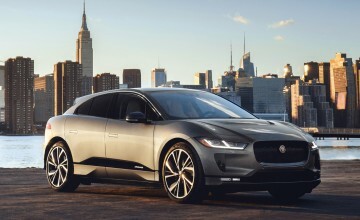 The next step after driver assist systems is autonomous driving with the likes of automatically reactive safety systems, traffic jam chauffeur, a valet chauffeur and cruising chauffeur. Whilst the goal of zero fatalities, zero injuries and zero accidents may be a dream too far, all these innovative technical advances are steps to reduce the number of accidents on our roads to day. And that is a factor that deserves praise and must be applauded. We were also given a glimpse into some future innovations at the company. At present, tyre pressure monitoring systems are in place in modern cars to warn if the tyre is losing air. Working on a similar although far more advanced basis, ContiSense involves the development of electrically-conductive rubber compounds that allow signals to be sent from a sensor in the tyre to a receiver in the car. Not only will this alert the driver to a puncture or pressure loss, but also about road conditions, temperature, along with tread width and depth. Then the ContiAdapt system uses micro-compressors that are integrated into the wheel to adjust the tyre pressure on the move. This means the tyres can automatically be adapted for the best performance on wet, uneven, slippery or normal surfaces. In countries where snow fall is particularly heavy, tyres are fitted with studs. These studs fit into metal mounts. But Continental is also looking to replace the metal with rubber mounts created through 3D printing. A drive on the ice once again showed this innovative idea to be more effective when accelerating from a standing start and carrying out emergency braking. This product would also be harder wearing and cause less damage to road surfaces. So, it would appear that Continental is a master in tyre technology and a whole lot more besides. In fact, I was reliably informed that apart from the shell of a car, Continental or one of its partners is capable of supplying virtually every other feature within a vehicle. With that in mind I posed the question "What even the sound system?" 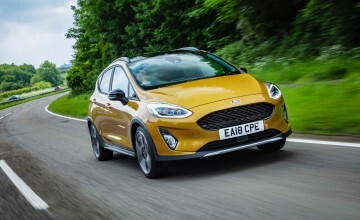 I was met with an instant response explaining how Continental had been awarded a top honour at the recent Consumer Electronic Show for integrating stereo speakers into the car's lining such as the doors. It produced pitch perfect sound quality.